Personalized Eagle Arch Home Address Plaque - - single-line address sign with an impressive eagle inside the arch. Holds up to five 3" numbers or seventeen 1.25" characters. Made in the USA. 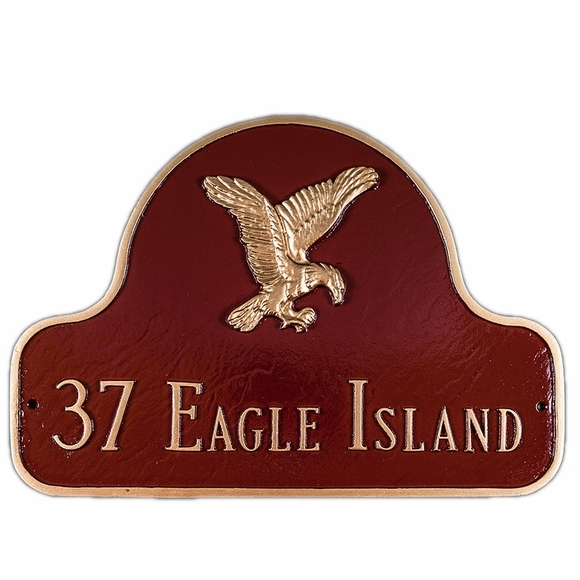 Personalized house number sign with an impressive eagle overlooking your address. Excellent quality product. Beautiful color, polished finish and professional presentation.